Iron Hand Brewing will unveil its Rebecca’s First Amber and Ben’s Oatmeal Stout at a grand opening event Jan. 18. 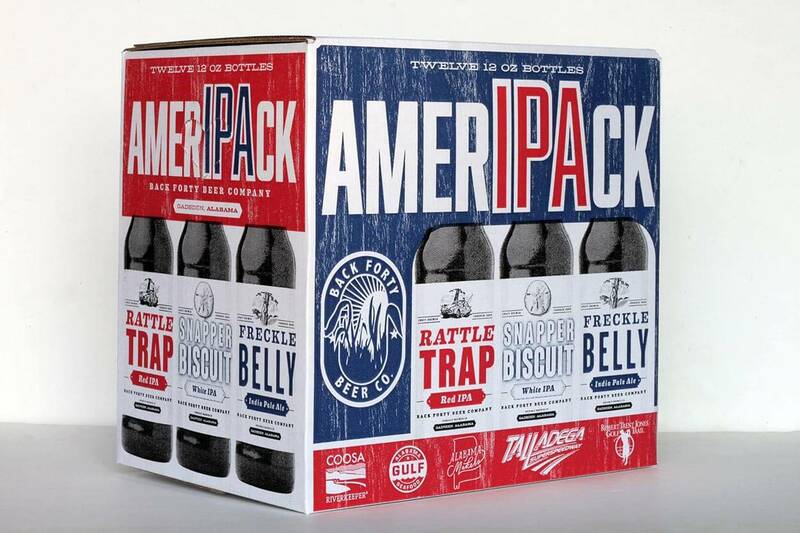 Two other beers, a pale ale and porter, are coming soon. The long wait for Rebecca Williams and Ben Ross to open their Mobile brewpub is finally over. After a number of years — and scouting several locations — Iron Hand Brewing Co. on State Street in De Tonti Square held a soft opening at the end of December and is now ready for its grand opening on Friday, Jan. 18. Located in the old Waterfront Rescue Mission, the English-style pub is housed in what was once the sanctuary of the Hunter Memorial Baptist Church, founded in 1927. After renovations, much of the original wood has been exposed, giving the space a wonderful, warm feel. Williams and Ross have sought to repurpose much of the old church, including the pews, which have been refinished and used for seating. They plan to eventually turn some of the reclaimed wood from the renovation into tables. 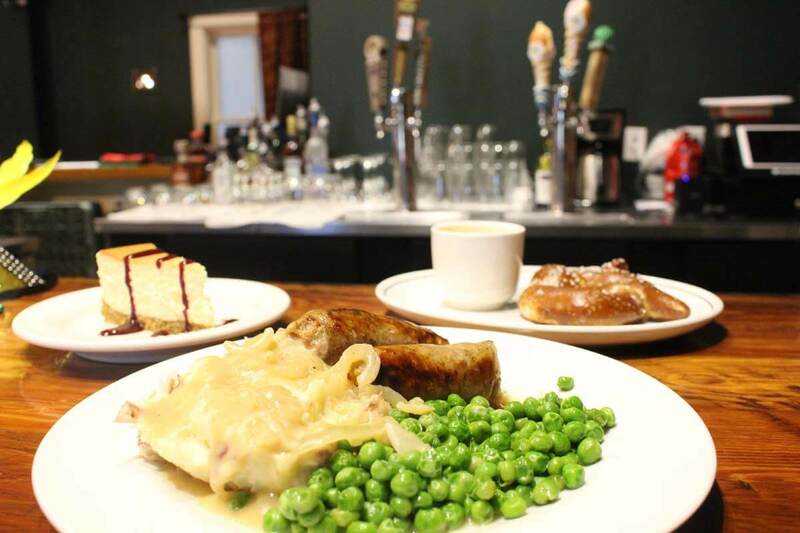 Named for the Italian explorer Henri de Tonti, whose right hand was lost in battle and replaced with an iron prostetic, the brewpub is different from others downtown in that it has a full kitchen and bar in addition to its own craft beers. I’ll leave the cuisine review to brother Andy, but the menu does look great, with much of the food — including the breads and the sausages — made onsite by Ross. It offers a number of food specials, including fish and chips on Fridays and a Sunday brunch every other week. While the kitchen has been open for a couple of weeks, Iron Hand’s brews were not ready until now, which is the reason for the delayed grand opening. Its first two beers, Rebecca’s First Amber and Ben’s Oatmeal Stout, will debut this week, with Will’s Pale Ale and the Lost Ring Porter coming soon. The pub eventually plans to have five of its own beers, and one rotating “guest” craft beer on tap. 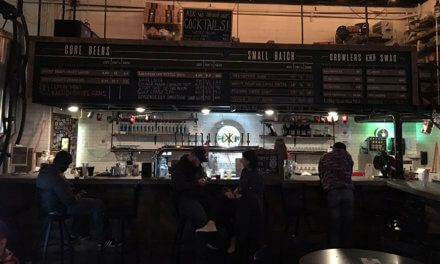 While waiting for its own beers to be ready, the pub has been featuring an excellent selection of local and regional craft brews, including those from Big Beach, Good People, Parish and Trim Tab. 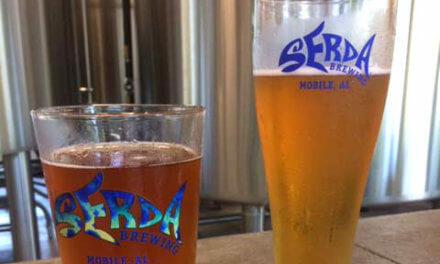 The brewery is partnering with University of South Alabama climatologist Dr. Steve Schultze, who has been working with Auburn’s Gulf Coast Research and Extension Center on the Alabama Hops Project in Baldwin County. 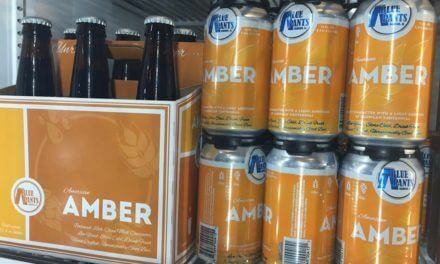 While there will not be any hops from Auburn’s farm outside of Fairhope this season because of weather issues, Williams and Ross hope to be making their beer with locally sourced hops in the future, giving their beers a unique twist. Iron Hand Brewing is open Monday through Friday for lunch from 11 a.m. to 2 p.m. and for dinner from 5-10 p.m., and Saturdays from 11 a.m. to 10 p.m. It will also be open on alternating Sundays for brunch, the next one being Feb. 2. Look for them on Facebook and Twitter for updates. Meanwhile, as Mobile’s newest brewery gets ready for its grand opening this weekend, across the bay the granddaddy of Lower Alabama’s craft beer scene — Fairhope Brewing — will be hosting a “Six Degrees of Kevin Bacon” party on Saturday, Jan. 19, to celebrate its sixth anniversary. With more than 40 (!) beers on tap — including Fruit Loose, A Few Good Hops and the Thin Mint cookie stout (which I will have to try) called Thank You Sir, May I Have Another — you’ll have to get there early if you want to try them all. Doors open at 2 p.m., with music into the evening and food trucks on-site.